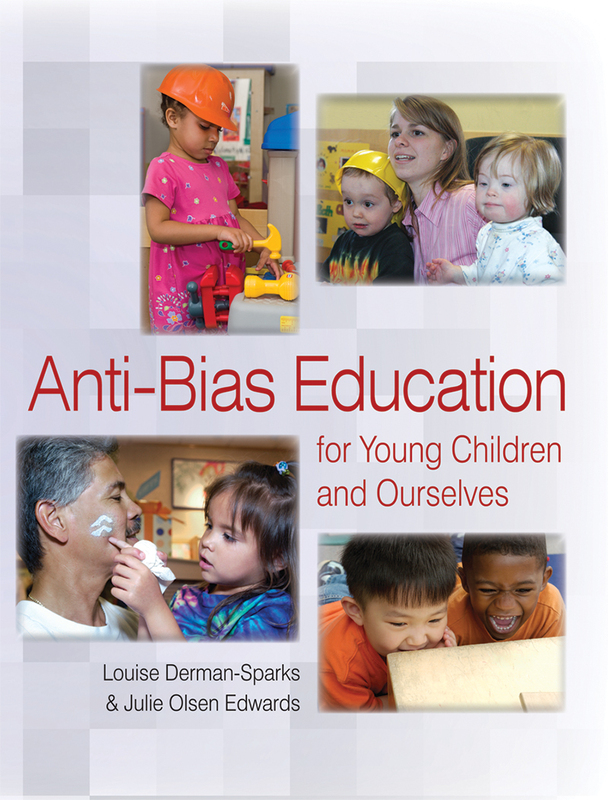 Anti-Bias Education for Young Children and Ourselves, by Louise Derman-Sparks and Julie Olsen Edwards, provides practical guidance to confronting and eliminating barriers of prejudice, misinformation, and bias. Most importantly, the book includes tips for helping staff and children respect each other, themselves and all people. Individual chapters focus on culture and language, racial identity, gender identity, economic class, family structures,different abilities, holidays, and more. NAEYC has compiled some key information from the book and related resources and self-reflective exercises for teachers as you think about anti-bias in your everyday work as educators. Early childhood educators have deep faith in the principle that all people deserve the opportunities and resources to fulfill their complete humanity. 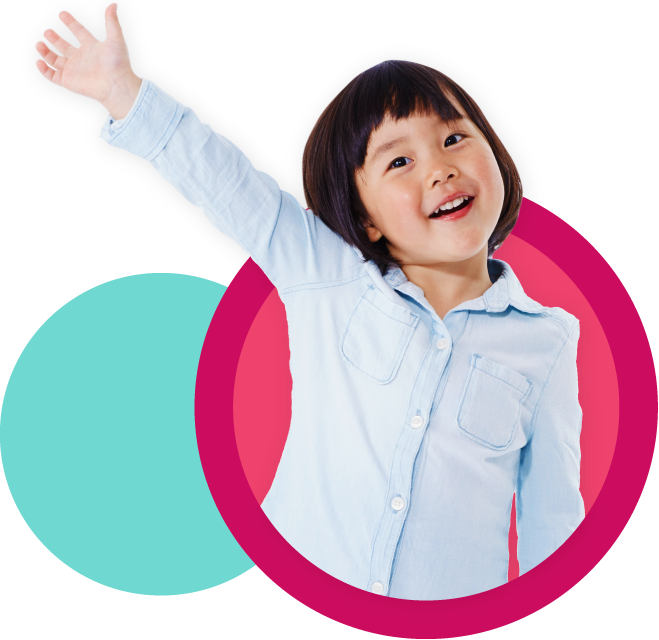 Moreover, we have a unique role in making this principle real, in promoting all children’s chances to thrive and to succeed in school, in work, and in life. A basic principle in early childhood work is that when educators treat children as if they are strong, intelligent, and kind, children are far more likely to behave in strong, intelligent, kind ways. They are more likely to learn and thrive and succeed. Read more from Chapter 1 of Anti-Bias Education for Young Children and Ourselves. The right to develop to the fullest. The right to protection from harmful influences, abuse, and/or exploitation. The right to participate fully in family, cultural, and social life. In order for children to receive all these rights, their society, their families, and those responsible for their care and education must work to provide everything that each child needs to flourish. A worldwide community of educators shares the vision toward which anti-bias education strives. They adapt its goals and principles to the needs of children and families in their specific contexts. Anti-bias education work in early childhood is shaped by a deep-seated belief in the importance of justice, the dream of each child being able to achieve all he or she is capable of, the knowledge that together human beings can make a difference. Listen to the voices of children who have experienced anti-bias education at school or at home. They give us hope and direction. Why do we do anti-bias education work? We do it because we live in a world that is not yet a place where all children have equal opportunity to become all they are. A worldwide community of educators shares the vision toward which anti-bias education strives, adapting its goals and principles to the specific needs of the children and families they work with. We invite you to be a part of this community, and we hope this book will provide some beginning maps for your journey. (ABE Goal 1) To what degree, or in what ways, do I nurture construction of a knowledgeable, confident self-identity and group identity in myself? (ABE Goal 2) How do I promote my own comfortable, empathetic interactions with people from diverse backgrounds? (ABE Goal 3) In what ways do I foster my critical thinking about bias? (ABE Goal 4) Under what circumstances do I cultivate my ability to stand up for myself and for others in the face of bias? What are the challenges to achieving these goals in my life? Learn more about Anti-Bias Education for Young Children and Ourselves!